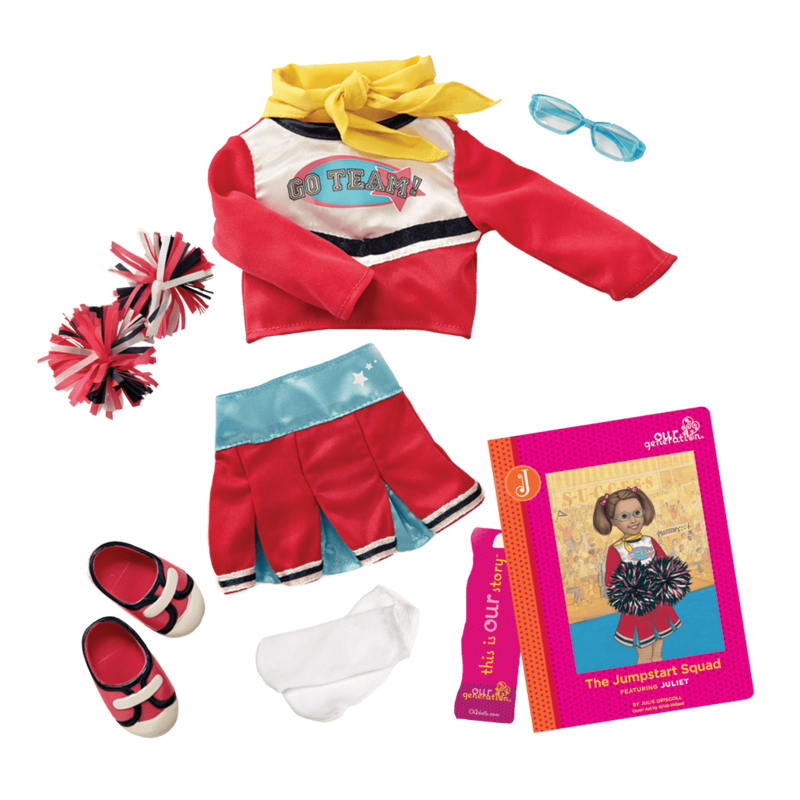 A colorful swimsuit and beach toy outfit for 18-inch dolls! Sand and fun at the beach! 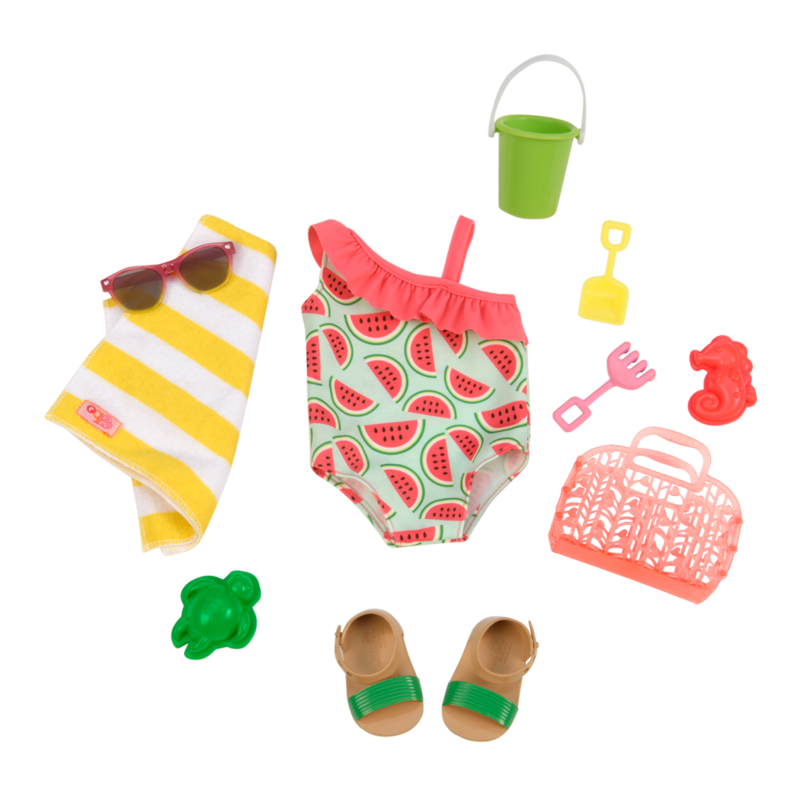 Feel the bright summer vibes of fresh watermelon and sandy beaches with the Our Generation Slice of Fun swimsuit outfit for 18-inch dolls! Sweet Beach Accessories for 18-inch Dolls! A day at the beach is within your reach! This colorful watermelon-print swimsuit with cute ruffled neckline is the perfect outfit for your dolls to wear as they enjoy playing on the beach. The pair of trendy two-tone sandals completes the outfit and is perfect for a stroll down the boardwalk. Use the convenient plastic beach tote bag to carry your striped yellow and white beach towel and any other beach essentials you plan to bring. 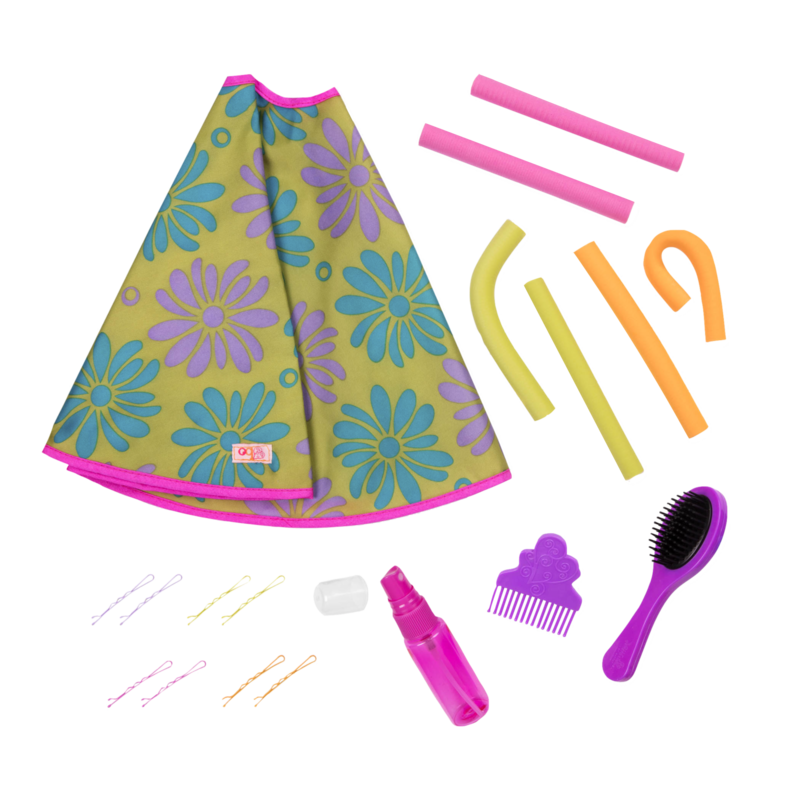 The plastic bucket, rake, shovel, and sand molds will give your dolls hours of sandy fun. Will they build a castle, or just dig a super-deep hole? It’s all up to you and your imagination! Have you met Ginger, the doll in the pictures who is modelling the Slice of Fun outfit? She is a beautiful, posable 18-inch doll with long blonde hair and bright green eyes. For even more fun in the sun, check out the Day at the Beach set featuring a cool beach chair and sand toys! 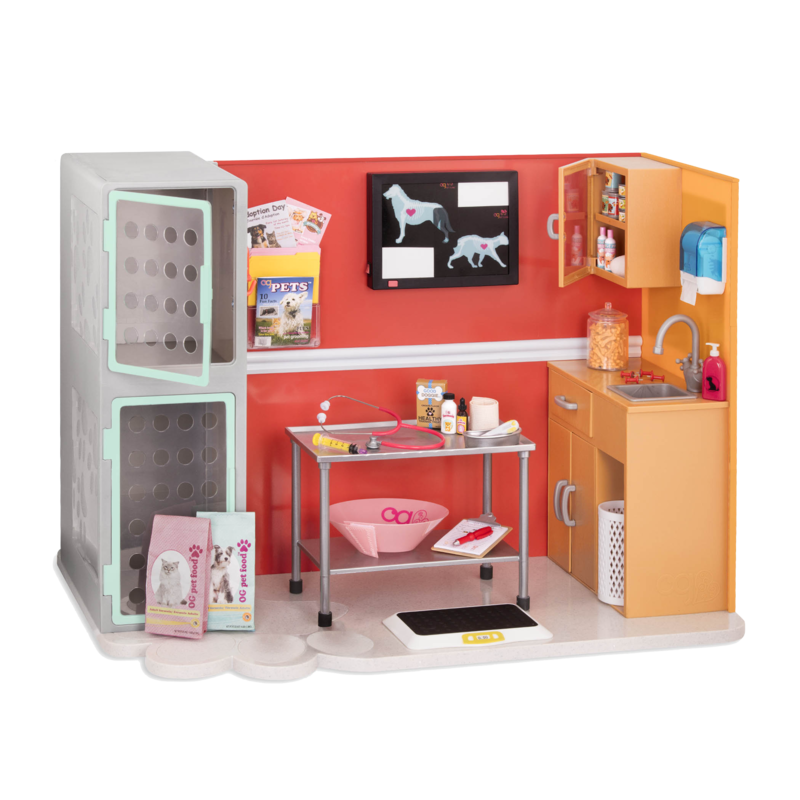 And for a perfect getaway by the waves for your dolls, set up your oceanside home in the Seaside Beach House, a deluxe playset with a kitchenette, fold-out bed, and star projector!